Moo you looking at – Cee’s Black & White Photo Challenge – Horns | Pictures without film. As soon as I saw the post I knew which photo I wanted to rework for this, it is from way back in the archives when I was using the Fuji HS20. Not sure why this has stuck in my memory for so long, but it did. 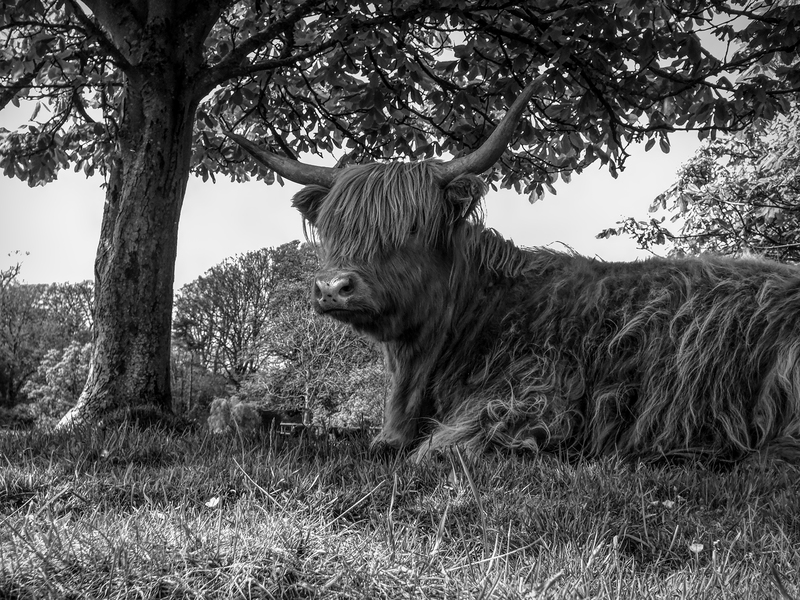 ‘Moo you looking at’, Merthyr Mawr, 2012.